Maytag dryers are warrantied by Whirlpool for one full year after purchase. If the dryer has a defective part, obtain warranty service by calling Whirlpool to locate an authorized service provider. Before calling for service, correct common problems through troubleshooting. Minor issues are often resolved at home without the need for a service call. If troubleshooting fails to correct the problem, call for service. Inspect the household fuse or breaker box. Dryers use two fuses or breakers. Push tripped breakers to the "On" position. Replace blown fuses. Contact an electrician if the dryer continues to throw breakers or blow fuses. Close the door firmly. Make sure the door latches securely. The dryer will not start if the door is not latched. Turn the cycle control knob to the desired cycle. Choose a "Sensor Dry" or "Timed Dry" cycle. The dryer will not start in the 'Wrinkle Prevent" cycle. Press and hold the "Start" button. Check the fuses or breakers. The dryer requires two fuses or breakers. 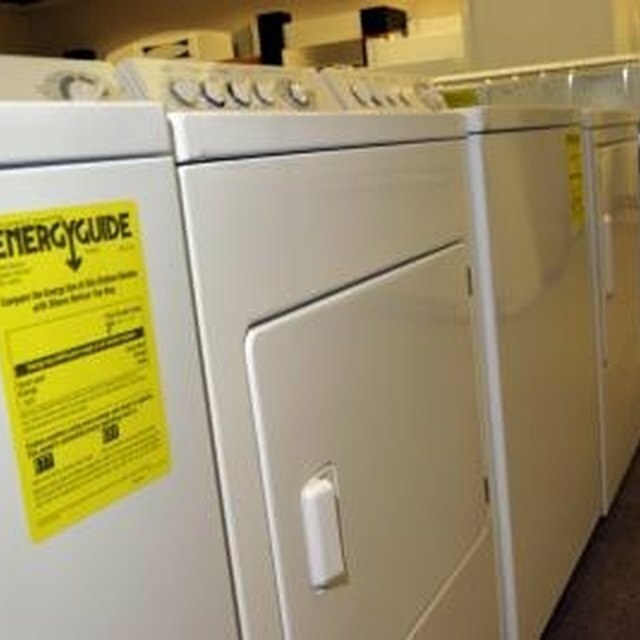 If one fuse is blown or one breaker is tripped, the drum will turn but the dryer will not produce heat. Reset breakers or replace fuses, if needed. Turn the control knob to a different temperature if "Air Fluff" or "Air Only" temperature setting is selected. These settings will not produce heat. Remove and clean the lint filter. Clean the lint filter after each load. Remove several items of clothing from large loads. Clothing must tumble freely to dry completely. Dry heavy items separately from lightweight items. Dry bulky items such as blankets and comforters separately. Add two or three towels to a small load so clothing will tumble properly. Remove loose coins, buttons and other items from the drum. Place a level on top of the dryer. Turn the leveling legs on the bottom of the dryer clockwise and counterclockwise to level the dryer. Check the timer. The dryer will click when the timer advances.